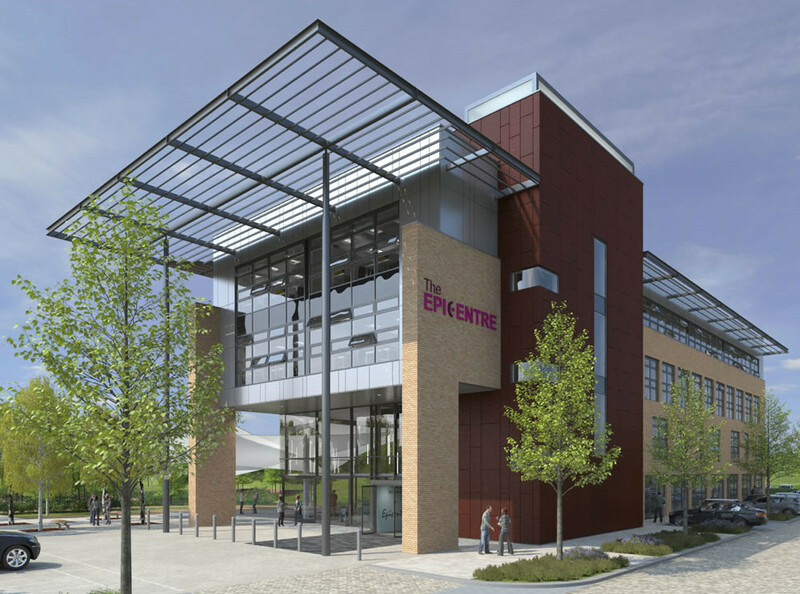 The Epicentre is the first R and D building on the new Haverhill Research Park; a gateway commercial development for Haverhill, Suffolk. 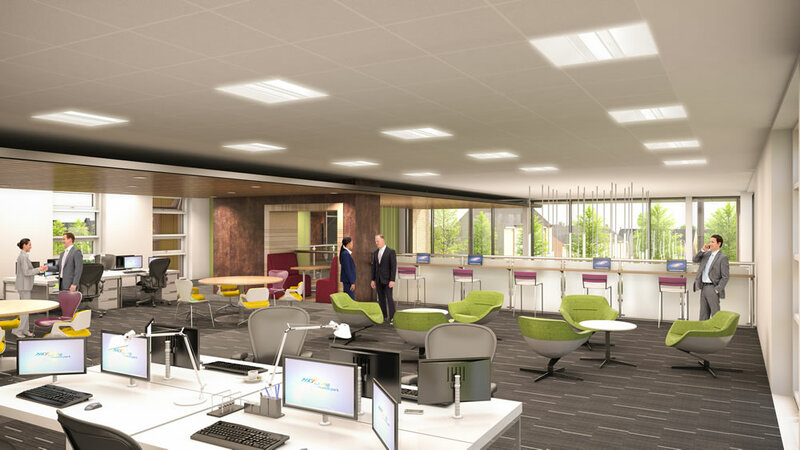 The building houses a series of office and meeting spaces, all linked to a double height public meeting space which is also the main entrance to the building. 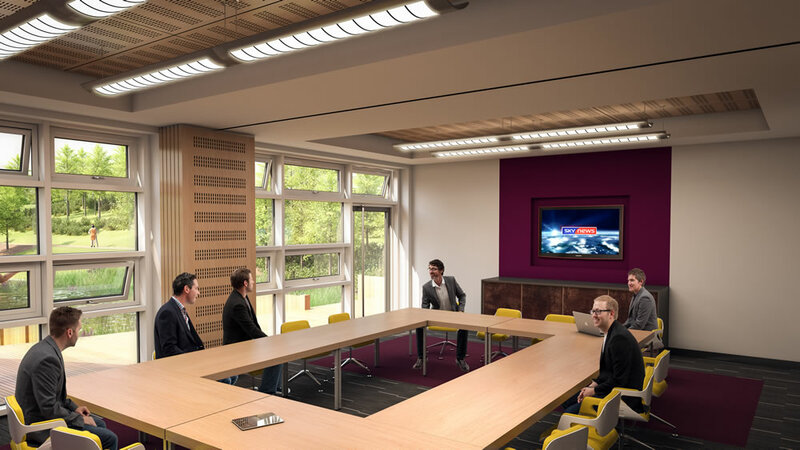 The general office spaces are wrapped within a masonry enclosure for the first three floors, with punched windows. Above this masonry element the third floor is ribbon glazing within a rainscreen cladding system, designed to provide a ‘lightness’ to the top storey and layering to the elevation. This storey also benefits a brise soleil which wraps around the north, east and south elevations for architectural articulation. The double height entrance space is expressed via full height glazed walls and an open gallery internally to the first floor. 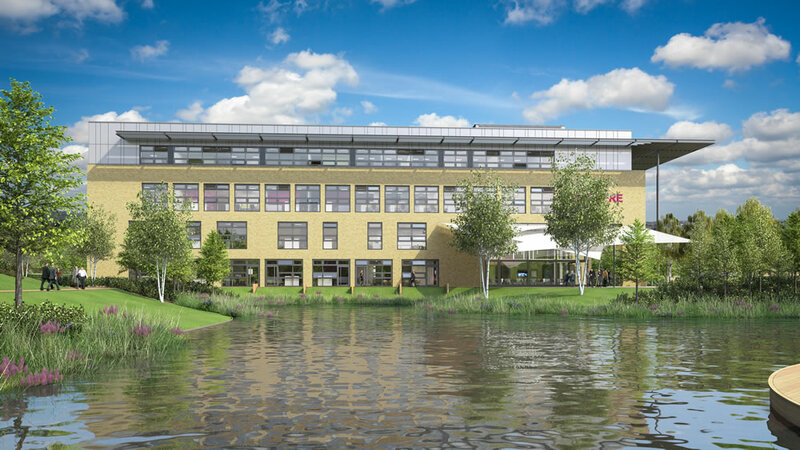 The floor finish flows from inside the entrance foyer out to the main plaza to the east of the building and on to the terrace to the south which overlooks the existing lake. The stair tower is expressed externally, wrapped in corten steel cladding and topped with a back lit beacon, creating a landmark feature, reflecting the buildings prominent location. 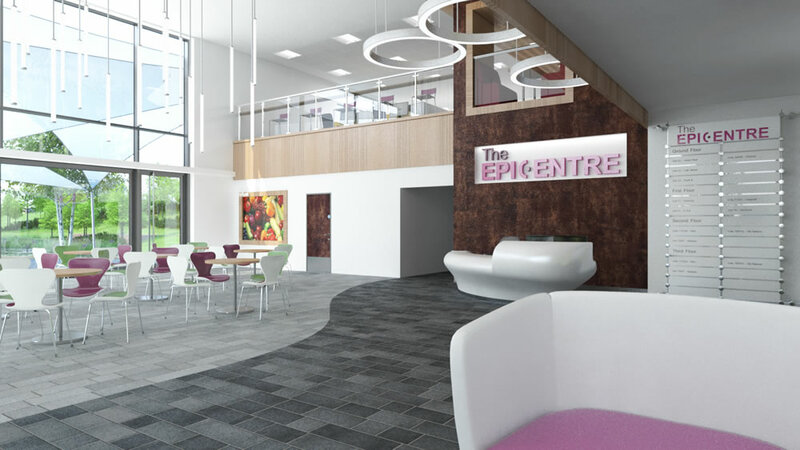 View the animation walkthrough for the Epicentre below.